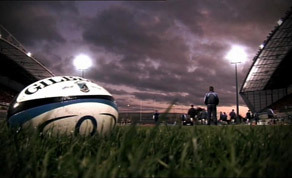 1.45 million viewers tuned in to see Ireland’s opening Guinness Six Nations match on Virgin Media One. On average, 979,400 viewers watched Ireland in the Aviva Stadium, beating last year’s Grand Slam viewing figure of 951,000 in Twickenham on St. Patrick’s Day. Saturday’s game also topped the 1.3 million figure of people who tuned in for the Grand Slam victory on St Patrick’s Day in 2018. The game delivered an impressive average viewing share of 68%. Viewing peaked at 1.1 million within the last twenty minutes as Joe Schmidt’s team tried to fight back against an impressive England side. Viewership to the opening three games averaged 524,000. This represents a growth of 51% on last year’s games. The Guinness Six Nations continues this Saturday 9th February on Virgin Media One with Scotland vs Ireland and Italy vs Wales. Joe Molloy presents coverage starting at 1pm.